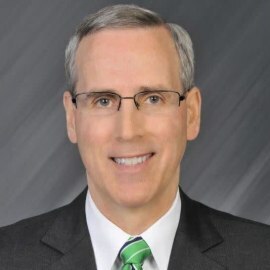 Jim Routh is the Chief Security Officer and leads the Global Security function for Aetna. He is the Chairman of the NH-ISAC Board. He serves on the Board of the National Cyber Security Alliance and is a member of the Advisory Board of the ClearSky Security Fund. He is on the Advisory Committee for the UC Berkeley Center for Long-Term Cybersecurity. He previously served as a Board member of the FS-ISAC and led several committees and working groups. He was formerly the Global Head of Application & Mobile Security for JP Morgan Chase. Prior to that he was the CISO for KPMG, DTCC and American Express and has over 30 years of experience in information technology and information security as a practitioner, management consultant and leader of technology, analytic and information security functions for global firms. Jim is the winner of the 2017 Evanta Breakaway Leaders Award, 2016 Security Alliance Award for Innovation, 2016 ISE Luminary Leadership Award, the Northeast and the 2014 North American Information Security Executive of the Year for Healthcare, the 2009 BITS Leadership Award for outstanding leadership of the Supply Chain Working Group sponsored by the financial industry in collaboration with NIST and the Department of Treasury. He was the 2007 Information Security Executive of the Year for the Northeast. He is a widely recognized expert in designing innovative controls using early stage technology companies that improve risk management while also being cost effective.